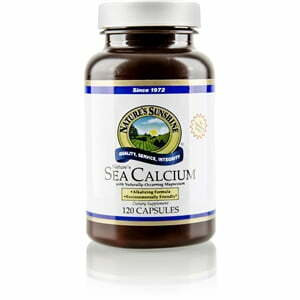 Nature’s Sunshine Sea Calcium naturally aids bone health and density. Sea Calcium has a large surface area and a porous structure, which may increase its bio-availability. Nature’s Sunshine Sea Calcium may help balance pH levels in the body. 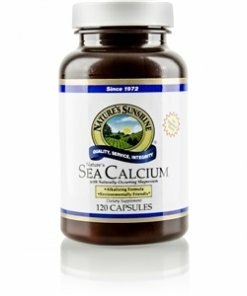 Each capsule contains 340 mg of sea calcium. Instructions: Take one capsule with a meal three to four times daily. Fructooligosaccharides, magnesium oxide, cellulose (plant fiber), magnesium stearate (vegetable), silicon dioxide (powdered silica), gelatin, and water.